If you have been threatened with a restraining order or criminal charges related to a domestic dispute in New Jersey, it is important to know that the standard of proof required for a restraining order is different than the standard of proof required to secure a conviction in a criminal case for a domestic violence offense. The impact of these differing standards is that it is generally easier to get a restraining order against an individual than a criminal conviction for a domestic violence offense. If you are required to appear in court for a final restraining order hearing or have a criminal court case for assault, terroristic threats, harassment, stalking, or another act of domestic violence, contact William C. Fay at our NJ law firm today for help. Mr. Fay has years’ experiencing assisting clients with restraining orders and domestic violence charges in Cherry Hill, Pennsauken, Voorhees, Winslow, Haddon Township, Haddonfield, Lindenwold, Gloucester and Pine Hill. Our legal team is well-versed in New Jersey law on domestic violence and we are dedicated to fighting for you. Call 609-832-3202 now or fill out our online contact form to arrange a free consultation. A restraining order is not a criminal proceeding—it is a civil case. The court will decide whether to issue a restraining order based on a preponderance of the evidence. Basically, under this standard, the judge will decide whether it is more likely than not that you committed the alleged acts of domestic violence. If the judge thinks that there is a 51% chance that you committed the alleged acts, he or she will issue the restraining order. Types of evidence the court will consider in reaching its conclusion include testimony of the victim, testimony of witnesses, medical reports, any history you have of threats or abuse, and whether the victim is believed to be in imminent danger. With the complexities of the law on restraining orders in New Jersey, an experienced domestic violence attorney can help you prepare the most compelling body of proof to demonstrate your side of the case. Do I Need a Lawyer for a Restraining Order Case in NJ? It is wise to hire an attorney if someone has filed to get a restraining order against you. With a standard of proof lower than that required to secure a criminal conviction, you will be at a disadvantage if you appear in court to defend yourself without a lawyer present. Furthermore, if a final restraining order is issued against you, your name will be added to the National Domestic Violence Registry (NDVR). While arrests and even convictions can potentially be expunged in the future, your name will remain on the registry. Moreover, you cannot remove a final restraining order without another proceeding to vacate the restraining order, and a court order by a judge. Having a temporary or final restraining order against you does not necessarily mean that you will face criminal prosecution or be convicted of a domestic violence offense. It is a common occurrence in New Jersey that an individual is issued a restraining order, yet not charged with a crime. There are specific enumerated offenses that are considered acts of domestic violence under New Jersey’s Domestic Violence Act including harassment, stalking, assault, sexual assault, kidnapping, false imprisonment, and contempt of a domestic violence order. To secure a conviction for an indictable domestic violence offense such as aggravated assault, the prosecution must convince the jurors unanimously that you are guilty of the crime beyond a reasonable doubt. 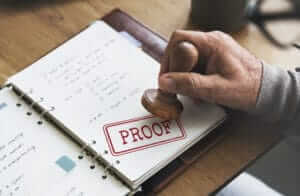 This is means that if one juror has any doubt as to whether you committed the crime, they must find you not guilty. For a disorderly persons offense, which is handled in Municipal Court, the judge must also find that you committed the alleged offense beyond a reasonable doubt. Since this standard of proof is much higher than the preponderance of the evidence standard applied in review of a restraining order, being issued a restraining order does not create a foregone conclusion that you will be convicted of a criminal offense for domestic violence. In any case, it is highly advisable to have a skilled defense attorney who can present the best arguments to create reasonable doubt. If you have been issued a temporary restraining order or charged with a crime for domestic violence, contact our experienced domestic violence lawyers today. We know the stakes are extremely high for you and those you love, and we will do everything we can to help you avoid an FRO and/or a criminal conviction. Call 609-832-3202 to speak with an attorney. Consultations are always provided free of charge.